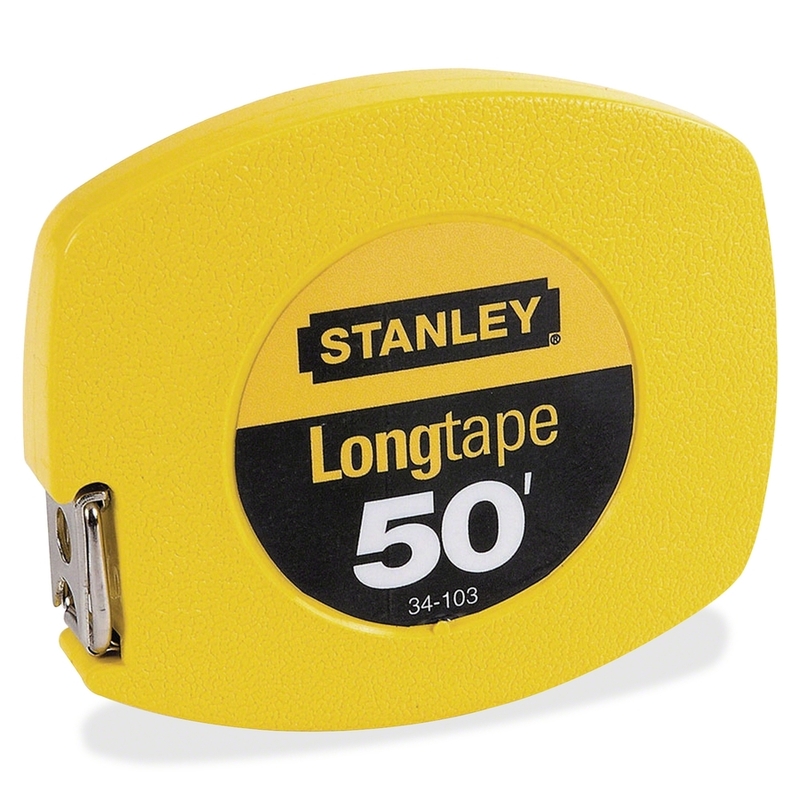 Durable, all-purpose 100' long tape measure offers a bright yellow case for easy visibility and a high-contrast blade and markings for easier reading. 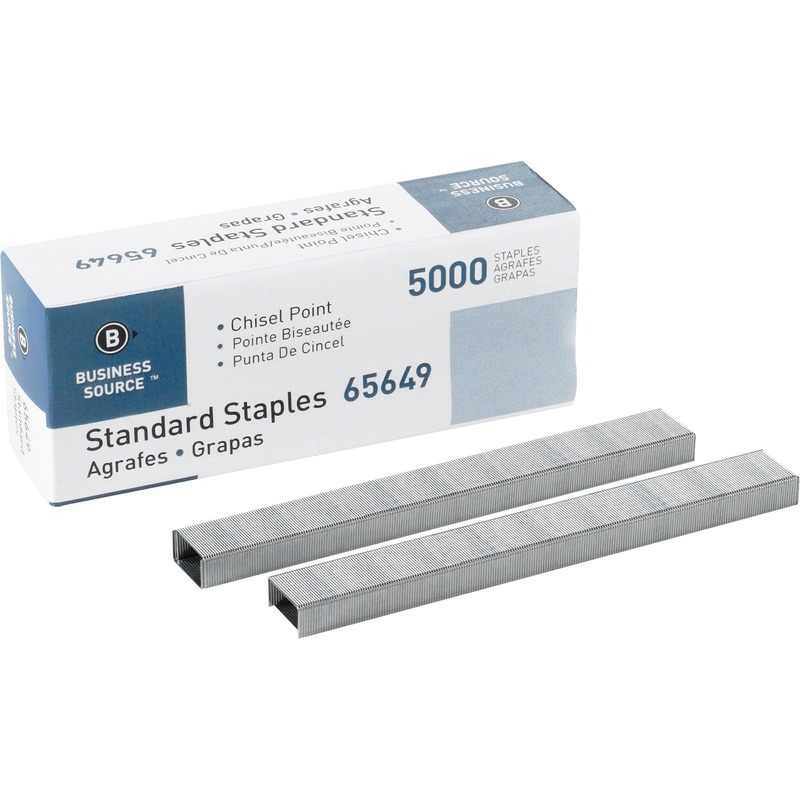 Polymer-coated, thick steel blade and high-quality ABS case construction survive falls and deliver long-lasting use. 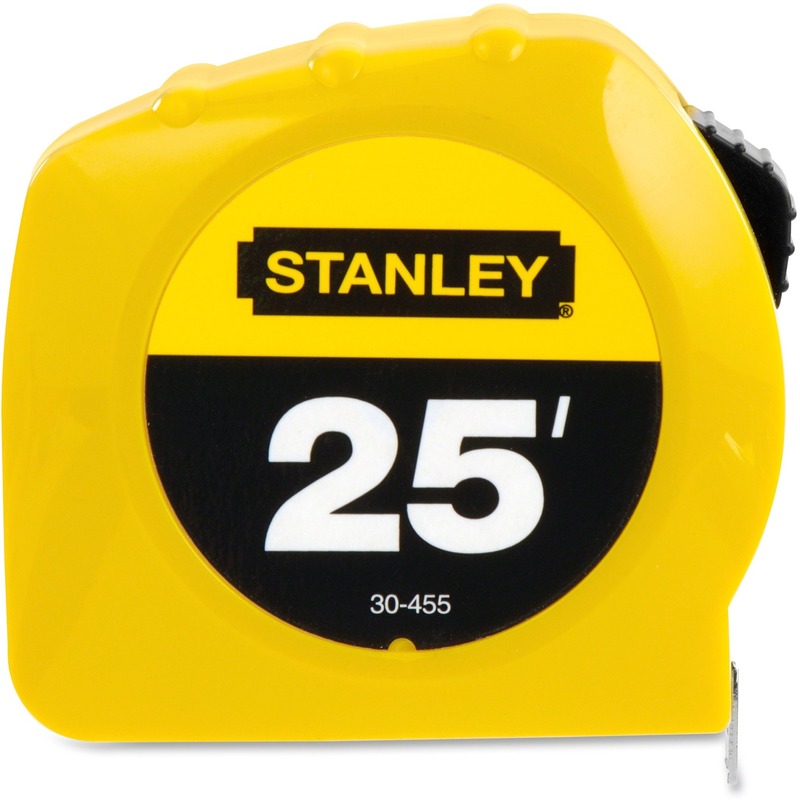 The tape measure features an easy-wind recoil drum for easier one-person operation. End hook recoils neatly into the contoured case. 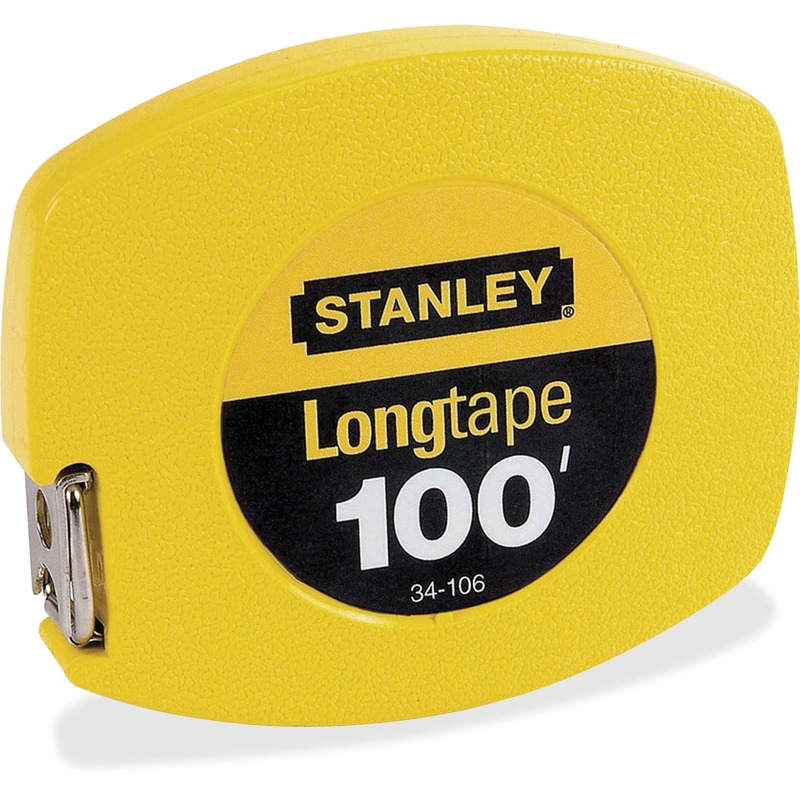 Snap open handle for rewind.